Wild Lettuce requires full sun but tolerates partial shade. It prefers moist, rich, well-draining soil with a pH of 7. Use sterilized potting soil to start your seeds with. Compost or a mixture of black earth and peat moss is fine. Water the soil thoroughly before sowing the seeds. 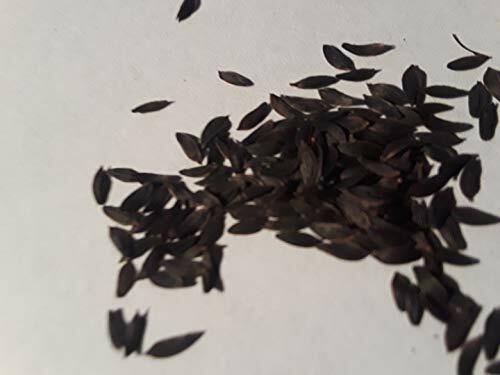 Soaking the seeds for 30 minutes prior to sowing will help soften the outer shell and may improve the germination rate. Wild lettuce seeds should always be surface sown. They require exposure to light to stimulate the germin process, and have less success when covered over. Always keep the soil moist but never let it become soggy. Allowing the soil to dry out will most likely kill the seeds or seedlings. Allowing the soil to dry out will most likely kill the seeds or seedlings. If you have any questions about this product by SS0162, contact us by completing and submitting the form below. If you are looking for a specif part number, please include it with your message. Issai Kiwi Vine 1000 Seeds -"Bulk Seeds"